​Virgil van Dijk has revealed that he voted for Premier League rival Raheem Sterling in this season's PFA Player of the Year award, with the race between the pair expected to be as close as the title race between their respective sides. Van Dijk has been exceptional for Liverpool this season, helping transform the Reds from a prolific but defensively suspect outfit to the Premier League's most solid at the back – conceding one goal fewer than Manchester City and a full 14 fewer than Chelsea and Tottenham behind them. 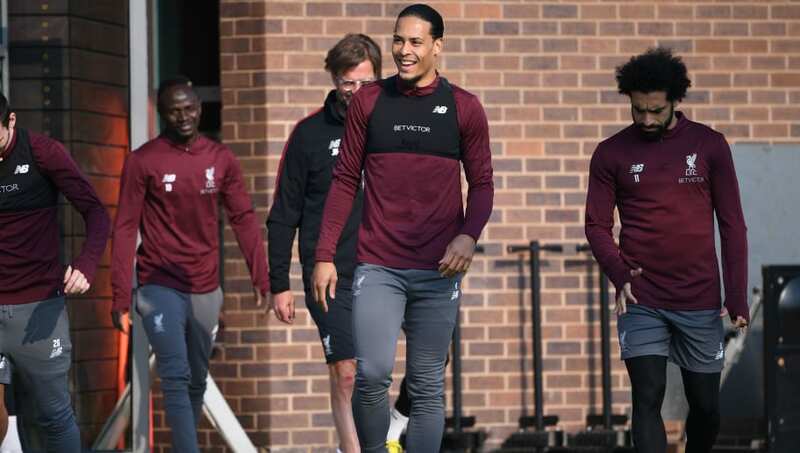 Van Dijk: "Everyone is dreaming of it. The unlucky bit for us is that there's another team in the PL which has been amazing too." The defensive transformation has made the Dutchman a favourite for the Player of the Year gong, but a defender hasn't won the award since John Terry in the 2004/05 season – and Van Dijk himself has admitted that he voted for ​City forward ​Sterling. He also admitted that he chose to move to ​Liverpool 18 months ago with the hope of winning trophies, adding: “I do a lot on my feelings. If I feel a certain way on something, that will be the decision I make. I follow the feeling, together with my family, and the feeling straight away was that this was the club for me.